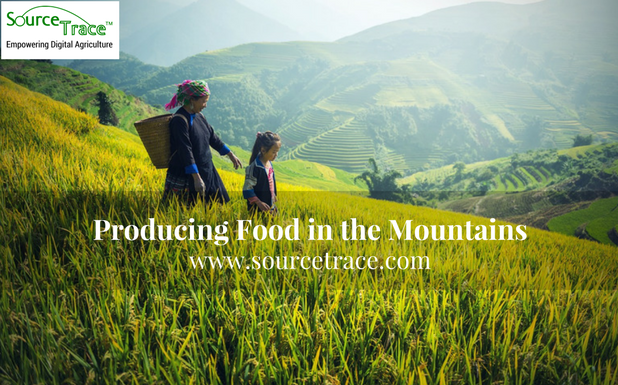 One of the most difficult terrains on which people have ever attempted to produce food is in the mountains. 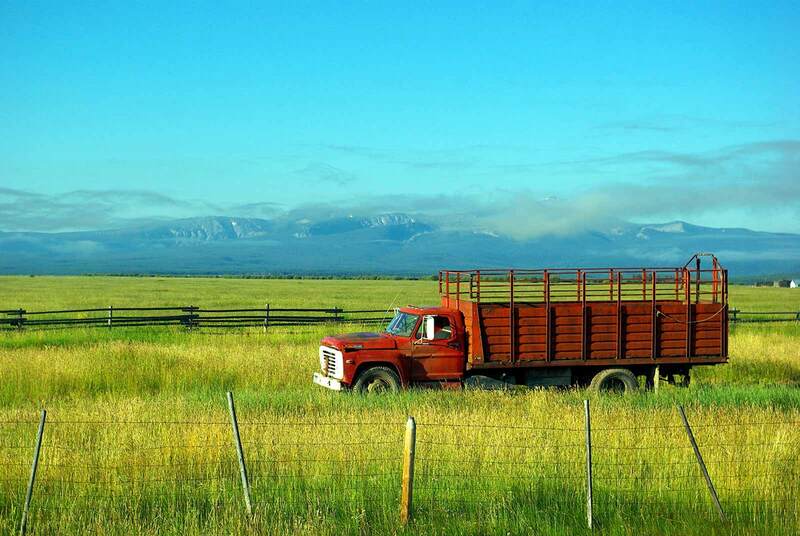 There are many reasons why mountains are considered a ‘disadvantaged’ area with regard to agriculture, which boils down its several environmental conditions. The first is the weather and soil conditions that shorten growing seasons. The second is the labour cost, which is higher than in other zones. Third, the gradient and the undulations in the terrain make it difficult to use conventional agricultural machinery. Due to all these limitations, the average productivity in mountain areas is approximately 40 per cent less than the productivity in the plains. But despite mountain farming being so much more laborious and far less productive, for the communities that inhabit the mountains, agriculture has always been central to life. Even so, there is no clear cut definition yet of highland or mountain farming. It is generally understood that farming at an altitude of 200m to 7500m above mean sea level is mountain farming. In order to categorize these elevations in India, the Indian Council for Agricultural Research has carved out nine zones that fall in the category of mountain zones. Another feature that can be seen in these zones is that at such an altitude, the natural vegetation transforms from cereal crops and fruit trees to permanent grassland suitable for animal grazing. In several mountainous regions, in fact, 60 per cent of the land is used for pastoral farming. So how did people ‘tame’ the mountains in the first place and make it viable for agriculture? The pattern seen all over the world, practised by even the earliest cultivators in the mountains, is the system of creating terraced farms. Terraced farms are flat steps of land along the slope, cutting the steep mountain slope into flat patches, thus making it possible to cultivate on small pieces of flatland. The structure of the terrace fields helps cut down erosion and surface run-off, and can even be used to grow crops that require irrigation, such as rice. The significance of this technique is most ably demonstrated in the Rice Terraces of the Philippine Corderillas, which has been designated by the UNESCO as a World Heritage Site. With the mountains becoming a site for pastoral farming as much as terraced fields, the produce that it yields is not just agricultural, but also includes dairy and meat products. In countries like Italy and Greece, for example, cattle graze on mountain slopes, and it is feasible to set up dairy farms in such regions. In fact, it is in the mountains from where emerged a response to a milk crisis in Italy, back in 2003. In order to ease an existing milk shortage, the European Union set up a project called Laugen Rind, in which bovine cattle grazed on the mountain grass of Italy. Not only was the project a success, the scheme also later allowed farmers from the province of Bolanzo to create a brand under which to sell fresh meat and gourmet produce. Hubert Ungerer, the person responsible for this project, and who worked in these mountains for many years, highlights that it is agriculture that keeps mountains alive, and that agriculture is integral to country life. He adds that the vitality of the agricultural sector also supports other sectors such as tourism and handicraft. Another characteristic feature of mountain agriculture is also that mountain farming largely tends to be ‘family farming’. Owing to its small-scale nature, there is diversification of crops, integration of forests and animal husbandry activities. Being a low carbon-footprint kind of agriculture, it has evolved over centuries and contributed to sustainable development even in the face of harsh conditions. Family farming may be as diverse as the mountain landscapes, and yet there are commonalities, such as most households grazing cattle on their terraces, and using the dung as natural manure. Moving from the perspective of producer to that of the consumer, the general assumption about mountain produce in the mind of the consumer is that of high environmental compatibility and high product quality. So the average consumer associates mountain produce with a sense of purity and traditional value; and this accords it great market potential. A study carried out in Italy to understand the perception of consumers towards these products showed that 86 per cent of the consumers interviewed were in favour of a distinct labeling system for mountain products. All said, the way to create a sustainable way of life for these mountain communities is to diversify their product base and develop niche activities like agro-tourism, for example. With reference to India, the Indian Council for Agricultural Research has been according priorities to mountain farming. Over a period of time, it has evolved several sustainable and multi-faceted modes which have greatly helped the mountain farming community.